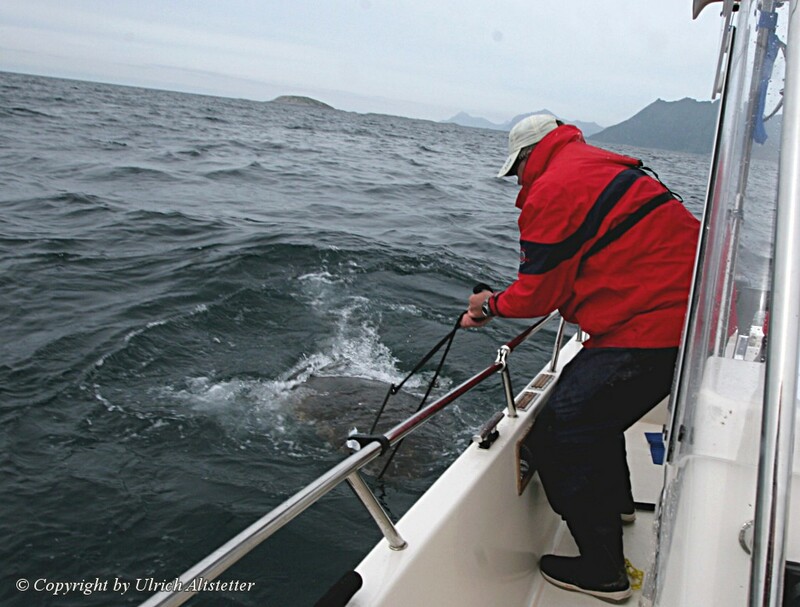 A small group of passionate fishermen from South Germany caught a record halibut nearby island of Senja, Norway. 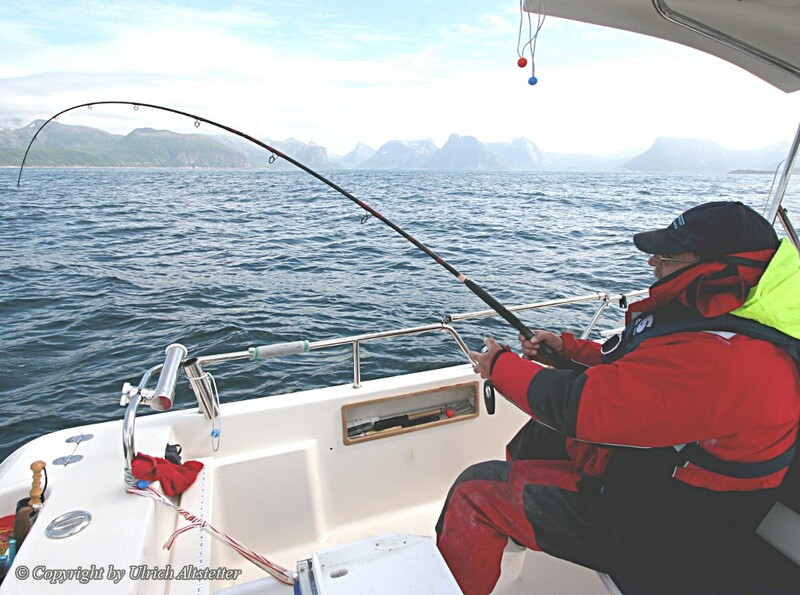 Skipper Ulrich Altstetter and his crew Reinhard Wührmann, Wolfgang Boric, and Jürgen Grüneberg came for the second time with their own boat to the island of Senja in Northern Norway to catch halibut, redfish and cod, in the period from 18.6. until 30.6.2011. The world record was set on 29th June 2011. It took them three hours to pull the fish in. 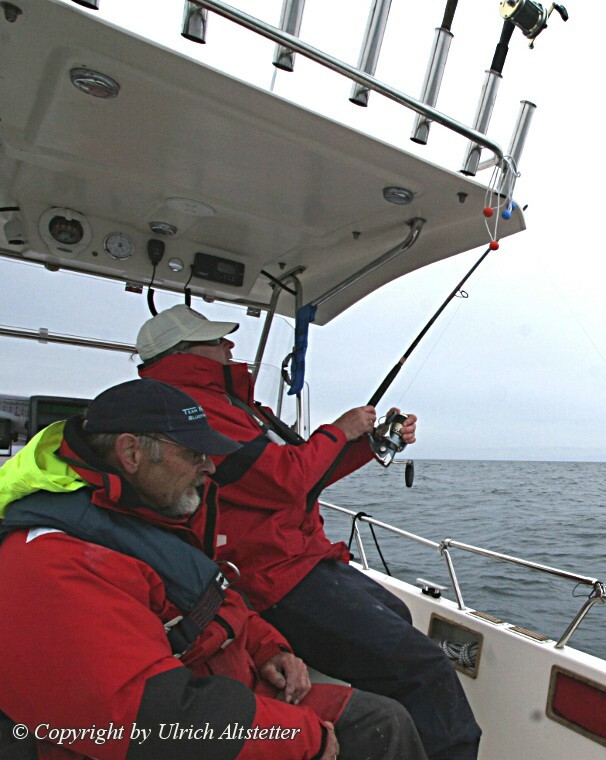 After about 90 minutes of Reinhard trying to reel halibut in, his favorite rod broke in two from the pressure it was under. 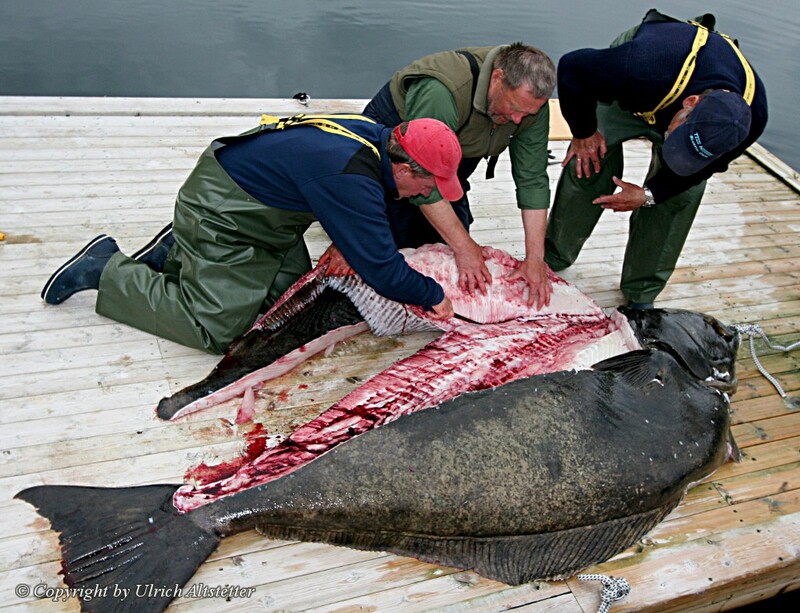 The 245 kg halibut was 255 cm long, 136 cm wide and almost 30 cm thick. The head alone weighted 34 kg. 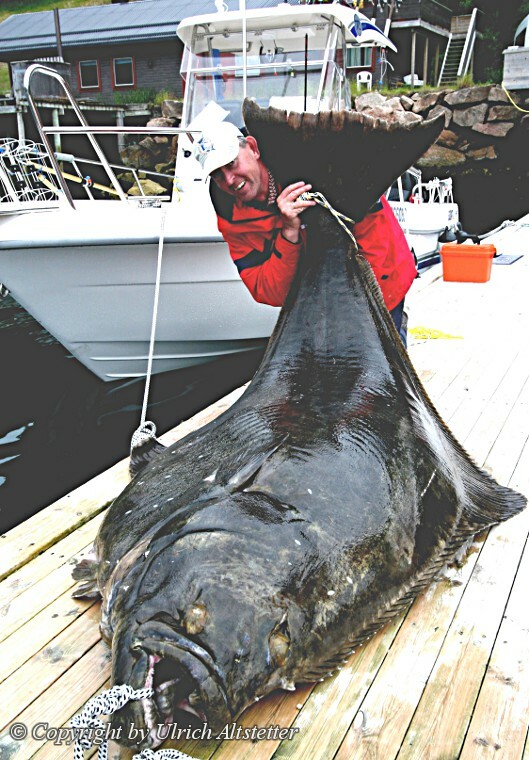 It is currently regarded as the world's largest halibut caught by rod and reel. A good quality fish restaurant can charge 30 Euro for a halibut main course, meaning the record fish could have realised a value of 30.000 Euro for 1.000 fillet portions. 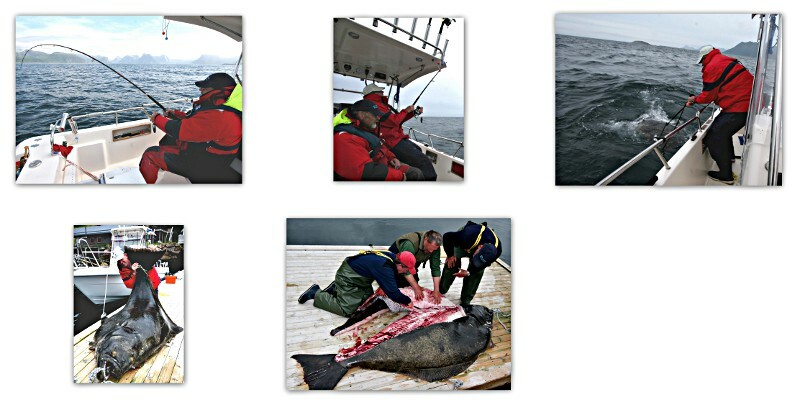 Instead to be sold, the halibut was filleted by skilfull fishermen and some frozen fillets were taken to Germany, while the rest was given away to Norwegians anglers and other local pepople.